Compostable Coffee Capsules™ and Coda Plastics are thrilled to announce the launch of mass production home compostable coffee capsules. A UK first for mass production and a game changer for the single serve coffee market, the new product composts to high quality soil with zero micro plastic contamination. In a joint effort with Compostable Coffee Capsules a truly compostable polymer has been optimized to meet the requirements for coffee capsule production whilst maintaining full home compostable characteristics. At present Coda Plastics is furnishing a new production facility in Norfolk, dedicated to the processing of home compostable polymer. It shows the commitment of Coda Plastics to lead the industry with environmental-friendly packaging. 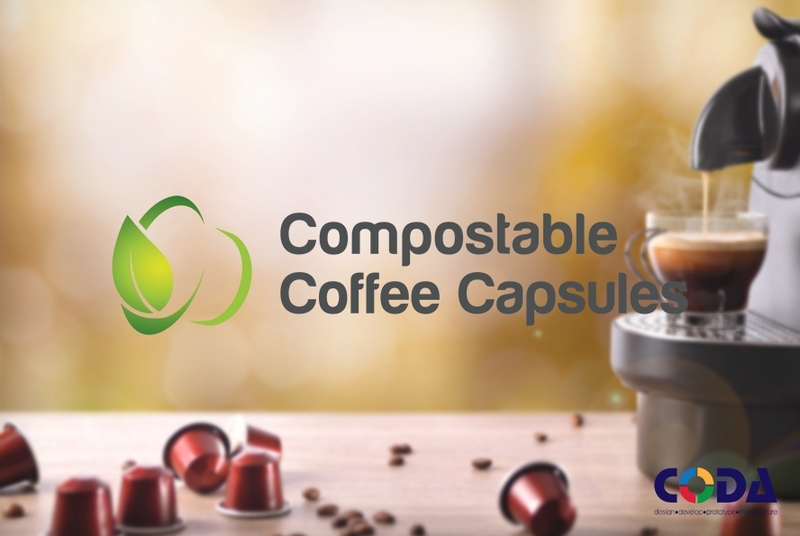 The home compostable coffee capsule is a cooperation between Coda Plastics Ltd and Compostable Coffee Capsules™ (CCC), a Rotterdam based company specialized in the development of home compostable coffee capsules for the production of hot beverages and associated articles. Both Coda Plastics and CCC have a shared mission to help protect the world’s environment from plastic waste pollution. With over 60 billion single use coffee capsules a year there is a need to confront the issue, which is why Coda Plastics and CCC joint forces and adopted a strategy to implement home compostable polymer for the use of single use coffee (and tea) capsules. Millions of tons of plastics are used each year are either dumped into landfill or end up polluting due to insufficient recycling systems globally. Plastics do not compost naturally. Current Bio Plastics degrade into micro plastics, which pollute our farmland. Fish, poultry, vegetables, and other key foods are polluted with micro-plastics. Micro-plastics enter our body and are eventually stored in our liver, causing harm and illnesses. This issue cries out loud for a solution. CCC have exclusive access to a home compostable alternative for the production of coffee capsules. Coda Plastics picked this up and is now the first in the market to start mass production using this material. 60 billion coffee capsules are used every year. 25% of these are made of polluting and poisoning aluminum, and the remaining 75% are made of plastics, very often multi-layer plastics. Less than 1 billion capsules are recycled annually. Home compostable means that the polymer turns into high quality soil within 6 months under normal natural conditions. Home compostability is considered the best solution. Industrial compostable (EN 13432) requires industrial processing adding humidity, heat and pressure. Bio-degradable plastics effectively turn into micro-plastics. The home compostable material Coda Plastics use for the production of coffee capsules can be used just the same way as the existing plastic and aluminum capsules already in the market. However, after use the capsules and your coffee turn into high quality soil in a natural way. The material Coda Plastics uses to produce home compostable capsules is supplied by CCC, a Rotterdam (Netherlands) based company with exclusive worldwide rights to use the material for the coffee capsule market. During three years of research the material was developed and tailored to fit the requirements for coffee capsules. Coffee brands from Switzerland and Portugal cooperated with CCC in the development of the material to fit the requirements for coffee capsules. For more information on the material specifications visit www.compostablecapsules.com or get in touch with our sales team. Follow us on Twitter and LinkedIn for updates and our latest news.